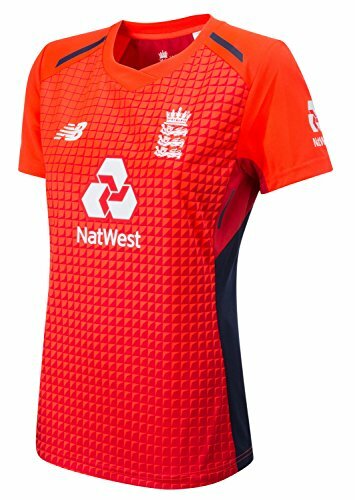 Official Replica England Cricket Women's T20 Shirt from new kit supplier New Balance for the 2018 to 2019 season. A polyester knit, short sleeve polo shirt with NB DRY moisture wicking to keep you dry and cool. The front of the shirt features a sublimated print panel.